Taste Radol’ca 2016 at Draga Inn – A Winning Start! As there are 13 restaurants involved in this year’s Taste Radol’ca, I made a start last week already at attempting to try as many as possible during the month of November – all in the name of blog research for you, dear readers, of course! 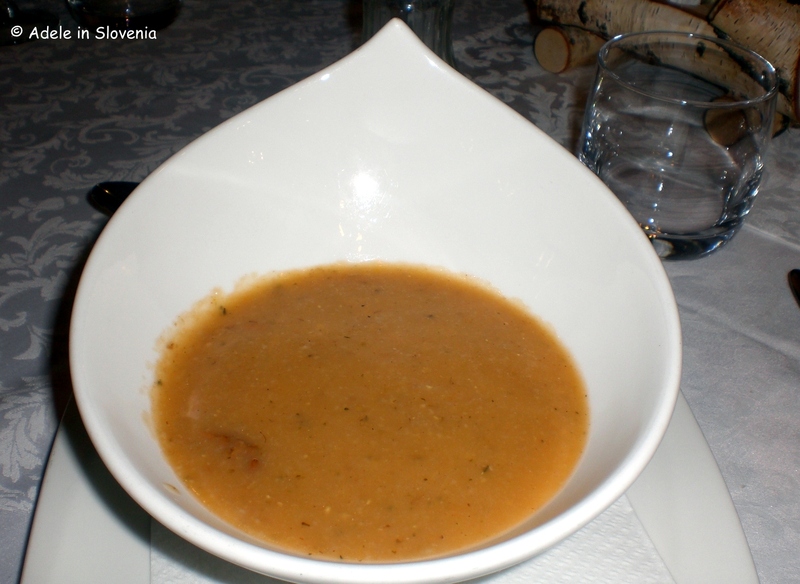 Having perused the menus, I plumped for Draga Inn (Gostišče Draga), located in the Draga valley in Begunje na Gorenjskem, for my first Taste Radol’ca 2016 meal, and what a fine choice it was too! There are 2 four-course menus to choose from, both costing just 16 euros, which is fantastic value and, as is the whole ethos of Taste Radol’ca, all products are sourced from local suppliers. I’ll let the photos of the food do (most of) the talking! I opted for Menu I. but swapped to the Menu II. 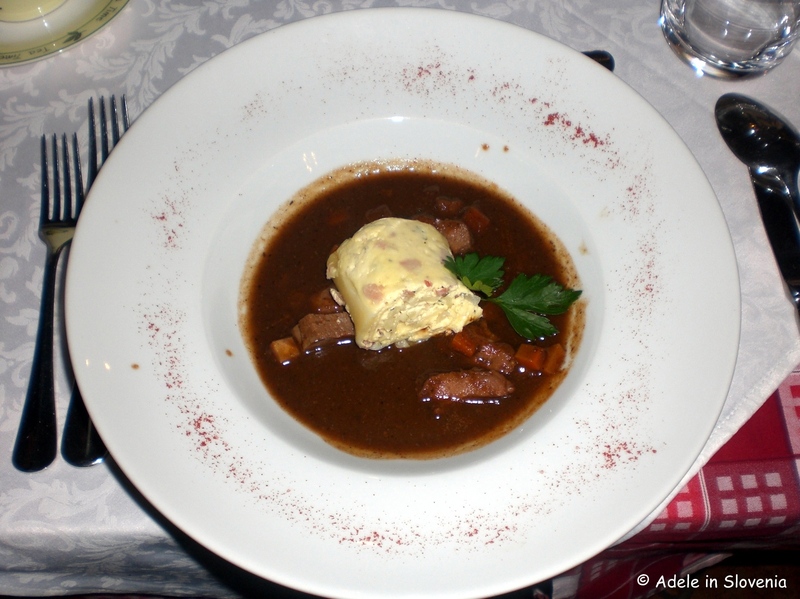 starter – game ragu with homemade cheese and bacon strukelj. 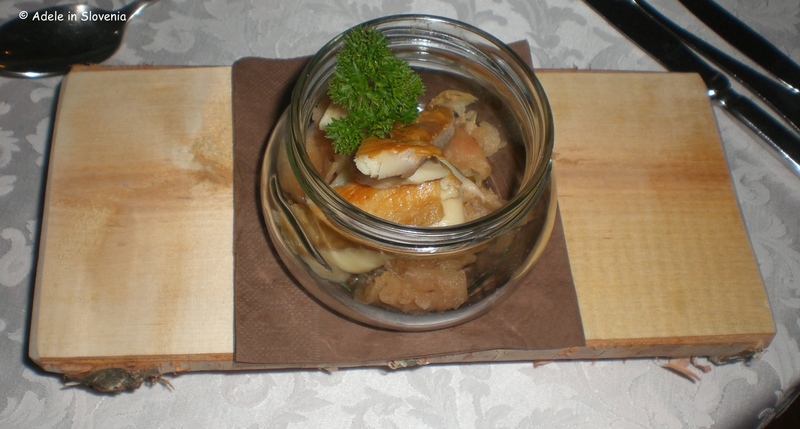 The alternative starter is smoked trout with horseradish, honey and creamed celery. This was followed by cream of barley soup with chanterelle mushrooms. 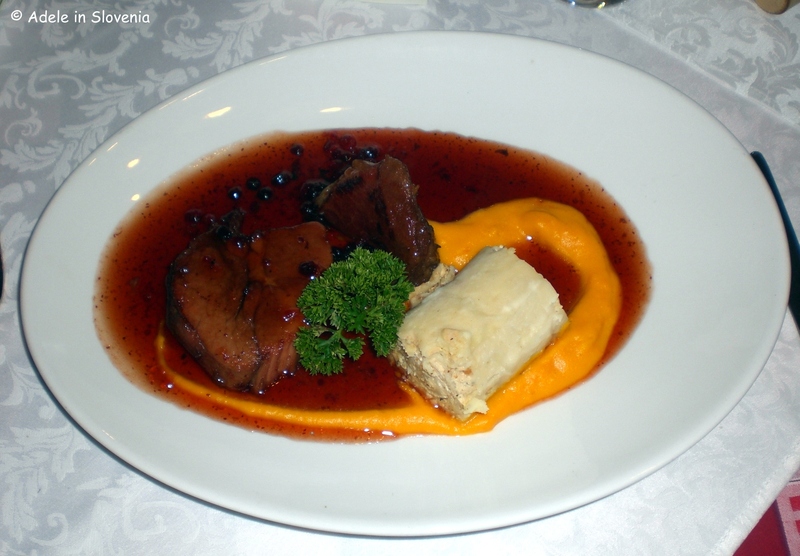 I’m still salivating when I think about the main course – succulent wild pork in cranberry sauce, calf cheek, puree of carrot, and bean strukelj. For those opting for Menu II. 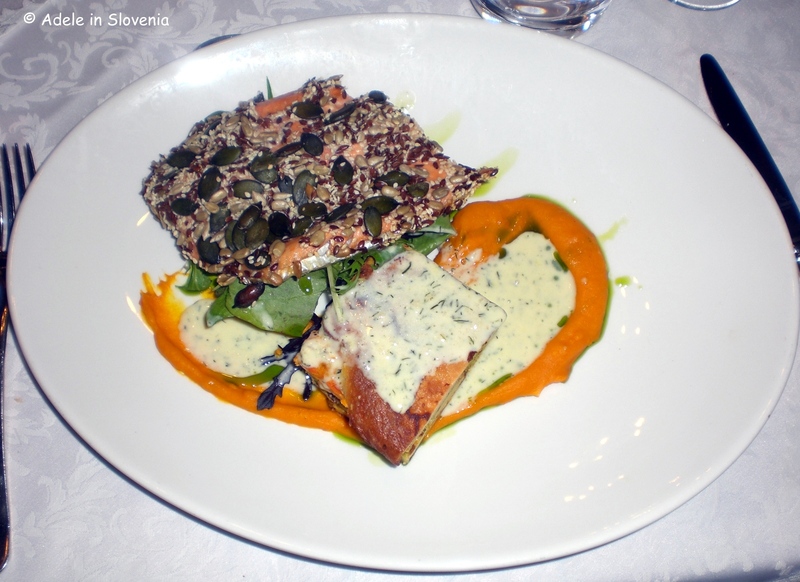 there is fillet of trout with mixed seeds, vegetable bake and pumpkin jam, which, although I’m not a lover of fish, also looked delicious. The portion sizes (even for my large appetite!) were just perfect, therefore we still, just about, had room for dessert. 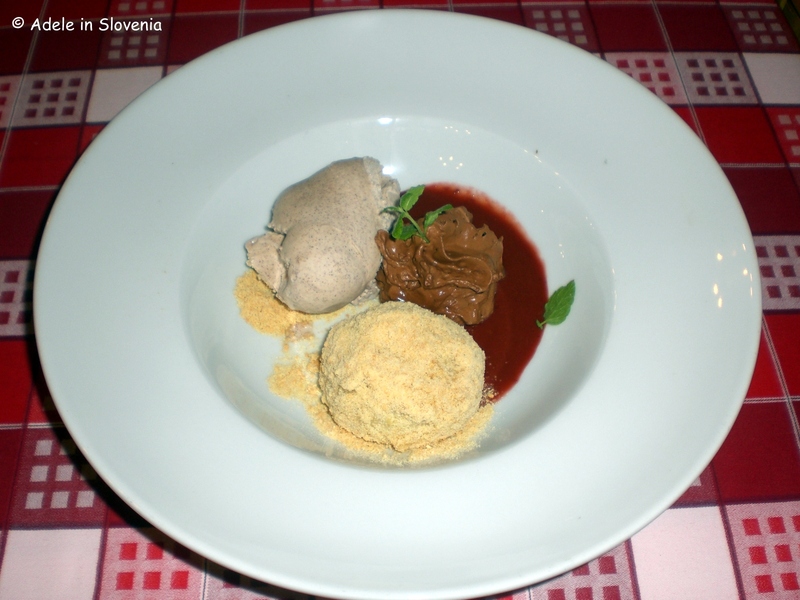 Strawberry dumpling, cinnamon ice-cream, and honey and chocolate cream. Sitting next to the log-burner, the ambience was cosy and warm and it was delightful to enjoy great food in the company of good friends – a welcome change from dining on my tod! So, thanks Jana, Tone and Pia! So, one down, only 12 to go, though, this meal was so good, I have a feeling I will have to squeeze in another visit to Draga Inn before the month is out! « It’s Wine Time – the Vinarium Tower and the Lendave Gorice Hills!